Here is some helpful advice on text and call scams that we hope will help some of you avoid getting ripped off. What are the scams using missed calls and text messages from unknown numbers? The first way is that the number you call back may be a premium rate service (for example a number that starts with 09) which means you will be charged a lot of money per minute. The second way is when you call the number and it tells you that you have won a prize of some sort or that somebody is trying to get hold of you. It then gives you another number to call to ‘claim’ your prize or contact the person in question, but they don't tell you how much the call will cost. This second number is then likely to be a premium rate number (for example a number that starts with 09), again charging you a lot of money for the call. You receive a ‘missed call’ from a number that you don’t recognise. You didn’t hear your phone ring. You receive a text message from a number you don’t recognise, but which sounds like it’s from a friend. If you return a missed call, a recorded message asks you to dial a different number (often starting with 09), but the cost of the call is not clearly stated. Never send anyone money after receiving a text message suggesting that they would call if they could, but they can't because of some 'disaster' such as being robbed. It is best not to respond to text messages or missed calls that come from numbers you don’t recognise especially if they sound like they are from a friend that you don't know. Be careful of phoning numbers beginning with 09. These are charged at a premium rate and can be very expensive. Look out for SMS and MMS numbers that start with 09 or from what are called 'short codes' - numbers with only 5 digits. If you respond, these can be charged at a premium rate (sometimes even for receiving a message) and can be very expensive. Text message scams work by sending you a text message from a number you may not recognise, but the content of the message sounds like it’s from a friend—for instance "Hi, it’s Mike. I’m back! When do you want to catch up?" or "Hey big fella, happy birthday!". Another common tactic is for a text message to sound like someone flirting with you. Many people reply asking who it is and end up engaging in a lengthy SMS exchange with the scammer. Only later do they find out that they have been charged a high rate both for messages they sent (sometimes there are also charges for messages received as well). Another text scam is when you receive a text from someone pretending to be a friend stuck in a foreign country saying that they have been robbed and can you send some money so they can get a new passport. Same again, the number you text may be a premium rate text message number or, of course, a good old fashion scam to get you to send them some money. What is an SMS competition scam? An SMS competition scam usually arrives as a text message and may encourage you to enter a competition for a great prize (like an mp3 player). The message (or sometimes, an advertisement) could also invite you to take part in a trivia competition, with a great prize on offer if you answer a certain number of questions correctly. The scammers make money by charging extremely high rates for the messages you send (and sometimes receive), and any further messages they send to you. These charges could be as high as £2 for each message sent and/or received. With trivia scams, the first lot of questions will be very easy. This is meant to encourage you to keep playing. However, the last one or two questions that you need to answer to claim your ‘prize’ could be very difficult or impossible to answer correctly (and may even require you to guess a random number). You receive a text message offering you the chance to win a great prize by sending a return text to enter a competition. A text message tells you that you could win a great prize by participating in a trivia competition over SMS. The first message may even contain a very easy question to tempt you. The text message (or other advertisement) does not give you details about how to stop receiving more messages. The first text message, or the advertisement for the competition does not contain all the terms and conditions. Read all the terms and conditions of any offer very carefully. Claims of free or very cheap offers often have hidden costs. It is best not to respond to text messages or missed calls that come from numbers you don’t recognise. Be careful of phone numbers beginning with 09. These are charged at a premium rate and can be very expensive. Look out for SMS and MMS numbers that start with 09. These are charged at a premium rate (sometimes even for receiving a message) and can be very expensive. Short text message numbers - Mobile text short-code numbers are five digits long and usually begin with 5, 6, 7 or 8. These numbers are often used to pay for new features in apps, to donate to charity, to enter competitions and to download games and ringtones. You may see these numbers in promotions asking you to text a certain word to a number or you may receive promotional texts asking you to reply to them. 118 – directory enquiries - Numbers beginning with 118 are used for directory enquiry services. 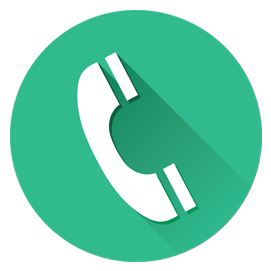 Most calls include a charge to connect (can be between 30p and £5) and then a charge for every minute you use the line (can be up to £5 per minute). It's commonly misunderstood when a 118 operator 'offers' to connect you that the call charges are often not clear and are substantially higher than if you just called the number yourself. 0871, 0872 or 0873 - These numbers are normally used for customer service lines, such as technical support lines, chat lines, tarot/horoscope lines and sales/booking lines. Costs: Typically between 11p and 15p per minute from a BT landline and between 20p and 41p per minute from mobiles. 070 numbers - Numbers beginning with 070 may look like mobile numbers but they are different and can be more expensive. They are used to divert calls to another phone number. Small businesses and sole traders often used these to avoid giving out their personal phone number. 070 numbers are regulated by Ofcom. However, PhonepayPlus can investigate services on these numbers if they are found to offer premium rate-style services and/or the number is being misused and if the cost of the call exceeds 10p per minute. 09 numbers - These numbers are mainly used for competitions, TV voting, horoscopes, chat lines, adult lines and professional service lines. Calls costs are usually between 9p and £1.69 per minute from a BT landline (other landlines up to £2.60 per minute) or between 50p and £2.50 per minute from mobiles. But not all numbers that don’t begin with either 01 or 02 are Premium Rate. 0843, 0844 and 0845 numbers – Are not premium rate numbers. They are ‘low call’ numbers and their pricing can range from 2p per minute to 5p per minute. Where they can ‘seem’ expensive is in the additional charges levied by mobile telephone operators which is something not within the control of the companies using these types of numbers. 03 numbers - cost no more than a national rate call to a 01 or 02 number and must count towards any inclusive minutes in the same way as 01 and 02 calls. These rules apply to calls from any type of line including mobile, BT, other fixed line or payphone. The universal STOP Command used in premium rate text messaging services. Since January 2005, all premium rated text services have been required to support the STOP command. 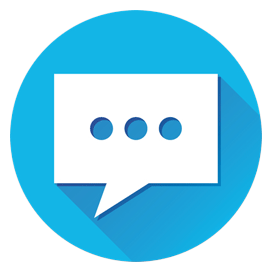 With one word, users can stop any chargeable and non chargeable text services that they no longer require from Service Providers using short-codes. If you are receiving messages from a short code (4 or 5 digit numbers, e.g. 45000), you can simply reply “STOP” to the short-code to stop that service. Sometimes you might be using two or more services from the same short-code (for example you may be in a bingo club and a lottery club). To leave them all at once, reply “STOP ALL” to the short-code. 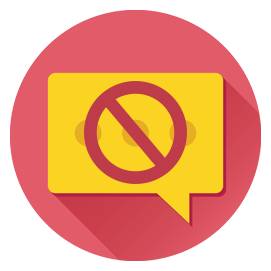 STOP also works for marketing messages too, so if you are receiving marketing messages on your phone and it is from a short-code, reply back with the text “STOP” to that short-code. 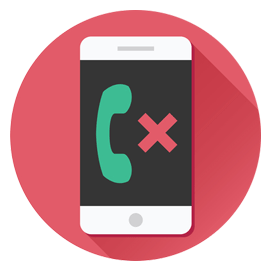 If you continue to receive premium charged messages or marketing message from a short-code after you have sent “STOP” to the short-code, (or “STOP ALL” where multiple services are running), then contact your mobile operator Customer Services and report it.